£60 Amazon Voucher Giveaway! - What shopping tribe do you belong to? £60 Amazon Voucher Giveaway! – What shopping tribe do you belong to? 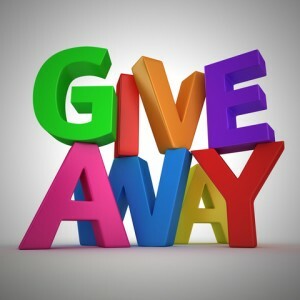 Well the weekend is finally here and I’m excited to bring you a great giveaway today. We’ve teamed up with Barclaycard to giveaway a £60 Amazon voucher to one of our readers. What do I have to do to enter I hear you ask? It’s really easy but make sure you read all the instructions. You can enter the giveaway until midnight on the 30th of November and we’ll announce the winner in the comments area and also a new blog post soon after. On their website Barclaycard have come up with a nifty 60 second quiz to try and decipher what kind of shopper you are. The first thing you need to do is click here to jump onto the Barclaycard website and take the quiz, it took me less than 60 seconds by the way so it genuinely is quick. Once you find out which shopping tribe you belong to just let us know in the comments area at the end of this post. Then just share the giveaway on your preferred social network, that’s it! The winner will be chosen at random by a member of the Barclaycard team and they will then email your voucher over so be sure to leave an email address on your comment. I haven’t always been a scrooge when it comes to shopping, when I was young free and single it was a different story. I’d happily head off to the high street each weekend and think nothing of splashing out on a designer jacket or a new pair of jeans. Then the reality of life hit with bills to pay and kids to clothe and feed, all I can say is as my pockets got deeper my hands seemed to get a whole lot shorter. Anyway enough about me, this giveaway is about you the readers. I’m sure you’ll think of something great to spend the £60 on. Maybe you can treat yourself to some new clothes, a few Blu-Ray’s or perhaps you’ll go for something a little more practical like a winter car kit? This Giveaway is for a £60 voucher so please only enter if you’re in the UK. Don’t forget to comment on this post telling us which shopping tribe you are. Don’t forget to fill in the email section on the comment form so we can send you your voucher code. Enter Before midnight on the 30th of November. Finally remember to share the giveaway on your preferred social media network using the buttons below. Food Shopping Online ~ Ways To Save Money + $100 Giveaway! Emergency Funds Are Important + $100 Paypal/Amazon Giveaway! 258 Responses to £60 Amazon Voucher Giveaway! – What shopping tribe do you belong to? Apparently I’m a “screen saver”. Though I don’t really agree with the analysis/description. I’m a bargain hunter gatherer! I’m a HIGH STREET POUNDER as I know the name of a local shopkeeper!! You’re most likely to be female, married or living with your partner and living in the north of the UK. You lot are busy. Two thirds of you cleverly juggle your home, work and financial life. You’re not easily tempted by big discounts, only 35% of you have ever bought a non-essential item you didn’t need because of a special offer. Home really is where the heart is – 42% of you selflessly save your loyalty card points up for treats for the family. You’re certainly not one to rush into Christmas shopping. You’ll bide your time and wait until the right price comes up – meaning you’ll likely strike the final week before Christmas. Bargain hunting’s in your blood. Once you smell a bargain, the hunt is on – two thirds of you regularly shop around different stores and websites to get the best deal before settling on a purchase. Bargain Hunter Gatherer! I do love a good bargain! I’m a Profit Prophet apparently. “Shopping for you means rarely leaving the comfort of your living room or work desk. You’re actually unlikely to set foot in shops at all, preferring to get your goods delivered direct to your door”. Bargain Hunter Gatherer! Totally agree with that always using the Internet to search for a better deal. I am a proud Profit Prophet! I am a high street pounder! I’m a screen saver, well my friends do call me the Queen of online shopping! screen saver – would get pressies for xmas on-line! I’m a high street pounder. Well who’da thunk it? I’m a screen saver apparently! I’m a Profit Prophet which is perfectly fitting for me! I am a bargain hunter gatherer! I am a high street pounder. I think they are probably right. Apparently I’m a Profit Prophet!! I’m a Bargain Hunter Gatherer. I agree! I am a screen saver! Taken the quiz, and I’m a Screen Saver. Sums me up quite well. I’m a High Street Pounder! I’m a Bargain Hunter Gatherer!! I am a screen saver – but only because my hubby does the shopping, lol. Apparently I’m a high street pounder, which is a little odd as I said I shopped almost exclusively online! I’m a ‘profit prophet’ which basically means I’m brand disloyal , write a shopping list and stick to it, and basically shop like an oldie!! im a bargain hunter gatherer..
I’m a high street pounder haha! It’s fairly accurate in all honesty- expect I’m not married! I’m a High Street pounder, though feel the survey was biased. It didn’t give enough options for accurate answers. I’m a Screen Saver! Quite accurate as I do always compare prices on apps etc. I’m a Bargain hunter gatherer, and proud of it! Apparently, I’m a Highstreet Pounder, which isn’t terribly accurate, as it seems to be mainly based on the fact that I know the names of some of the local shop keepers and that’s because I’ live in a small village and don’t drive. I do get a lot of shopping online for that reason! Apparently im a High Street Pounder – actually pretty accurate!! Fun little survey – there’s no way I could have picked for myself as I like to save in every way possible lol! I am also a high street pounder! Another Bargain hunter gatherer here 🙂 Sounds about right! i’m a high street pounder,that was so much fun. Apparently i’m a Screen Saver! Im a High Street Pounder!! I’m a Screen Saver …..too true! I’m a High Street Pounder. Pretty accurante but I couldn’t tell you my butchers name. I’m a bargain hunter gatherer. I’m a Bargain Hunter Gatherer which sounds right to me! i’m a high street pounder too! of that I won’t deny! I find things cheap before I buy! Thanks for the giveaway! This is brilliant! Thanks for the entries everyone, our winner was Laura Wilke!